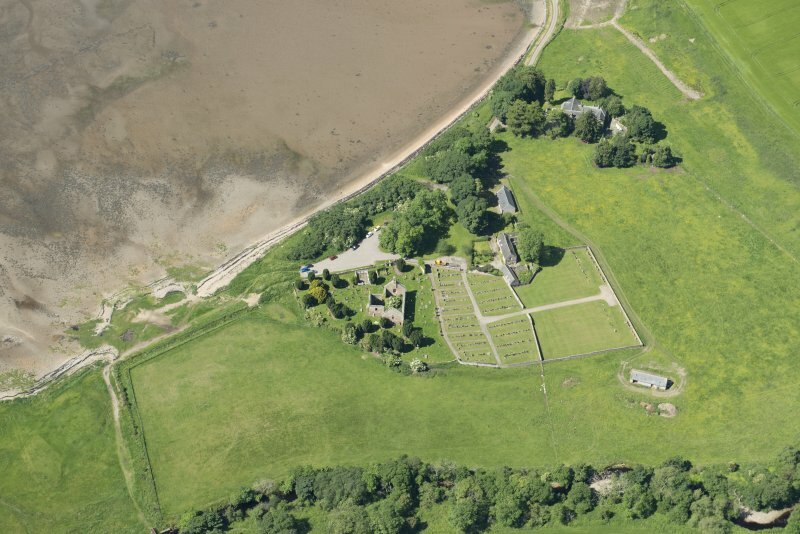 Oblique aerial view centred on the church, burial ground, farmsteading and barn with saltings adjacent, taken from the N.
General view of Kiltearn Parish Church showing medieval buttresses. 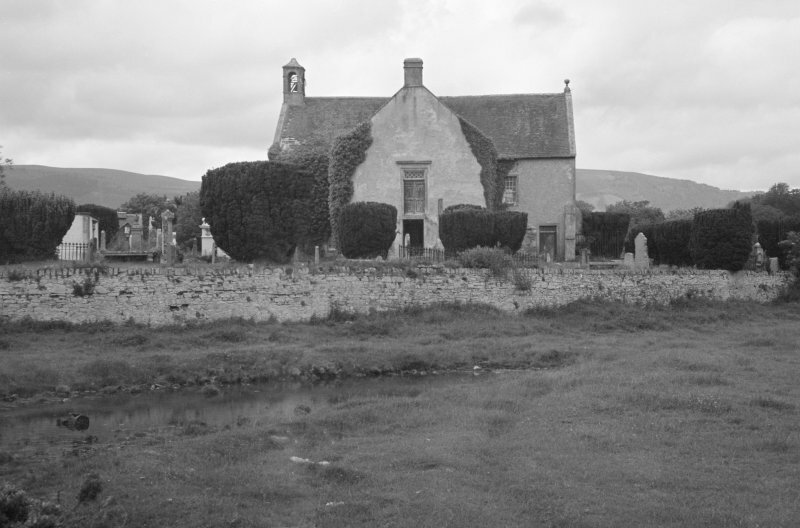 General view of Kiltearn Parish Church. 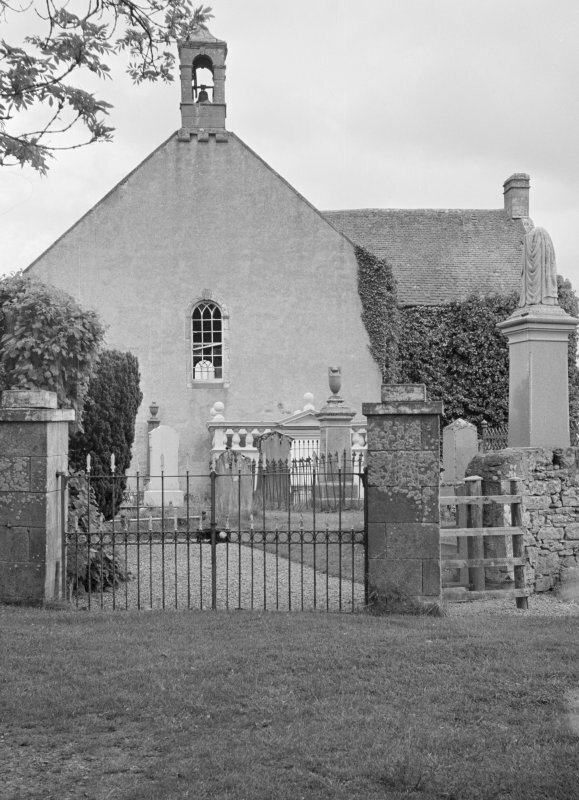 General view of Kiltearn Parish Church and gates to churchyard. 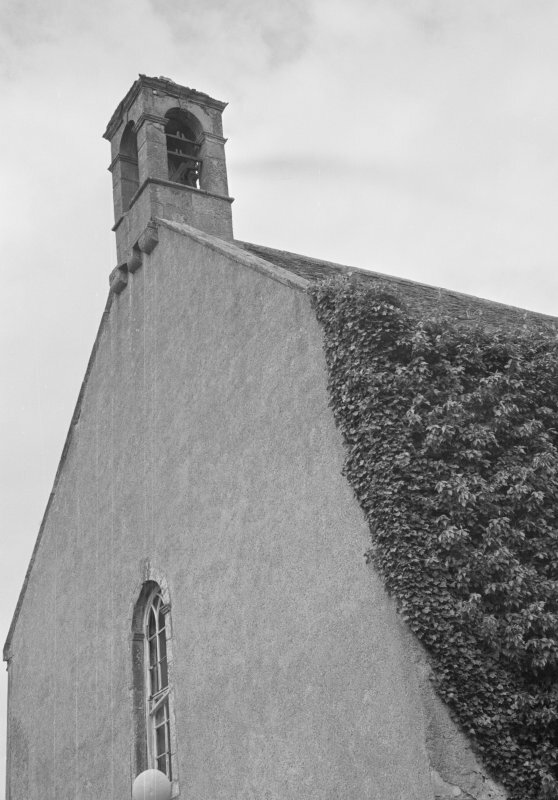 Detail of gable and bellcote, Kiltearn Parish Church. 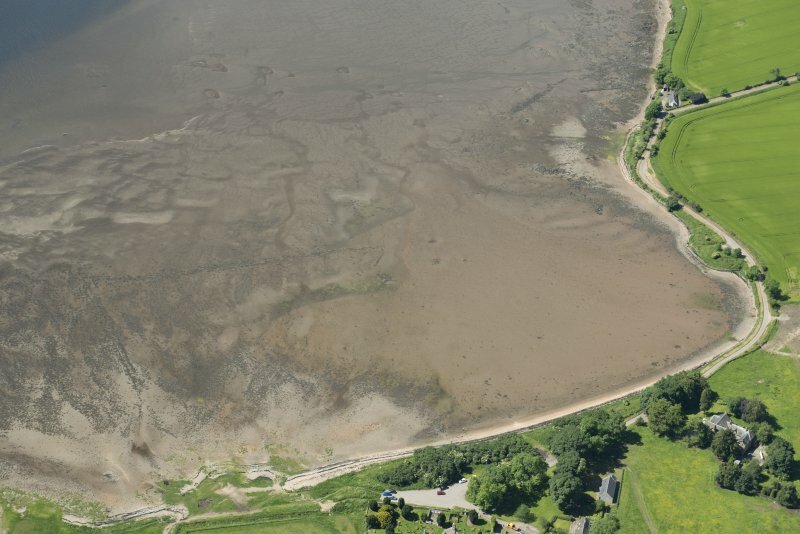 Oblique aerial view of the fish traps, looking NW. 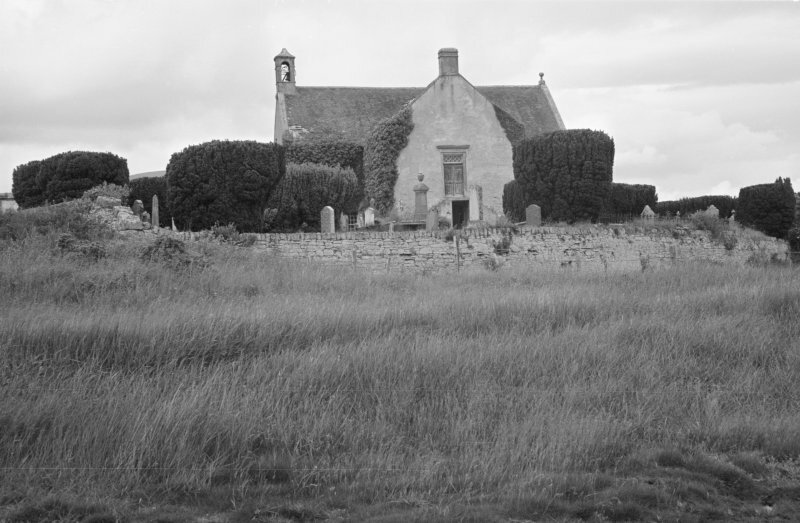 View of Kiltearn Parish Church and churchyard. 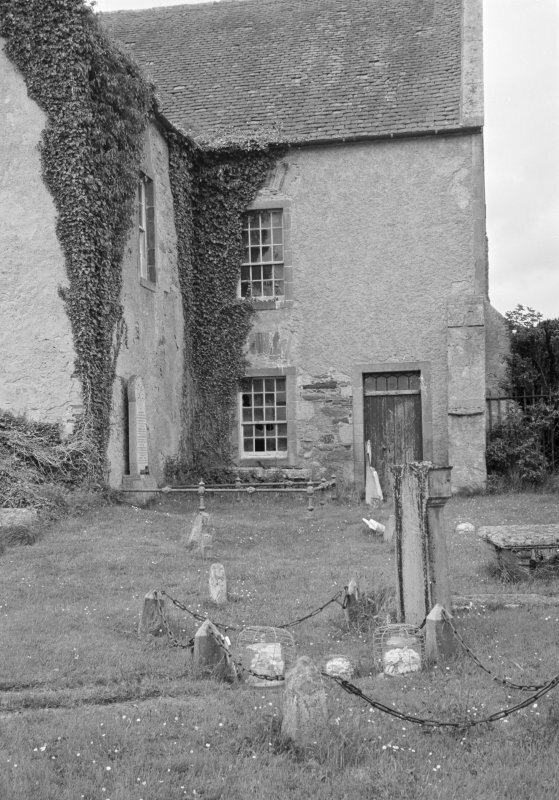 View of Kiltearn Parish Church showing stairs, door and gravestones. 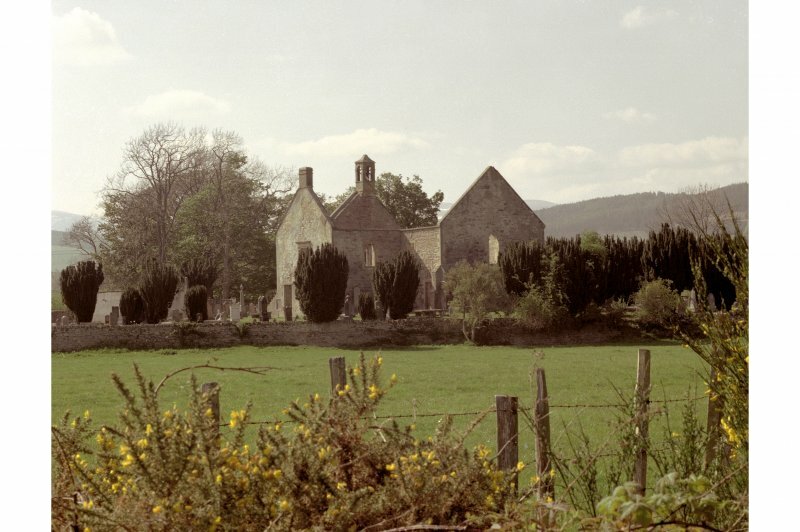 View of Kiltearn Parish Church showing medieval buttress. 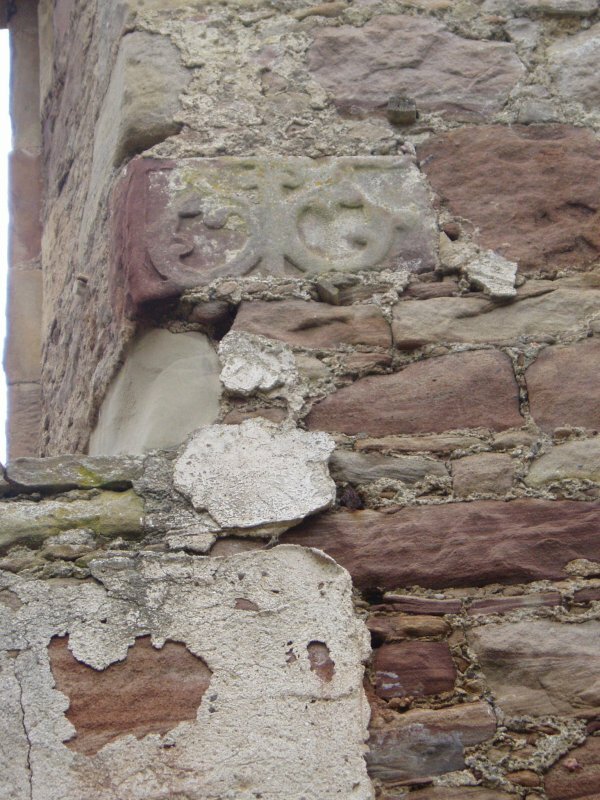 View of cross fragment in S wall. 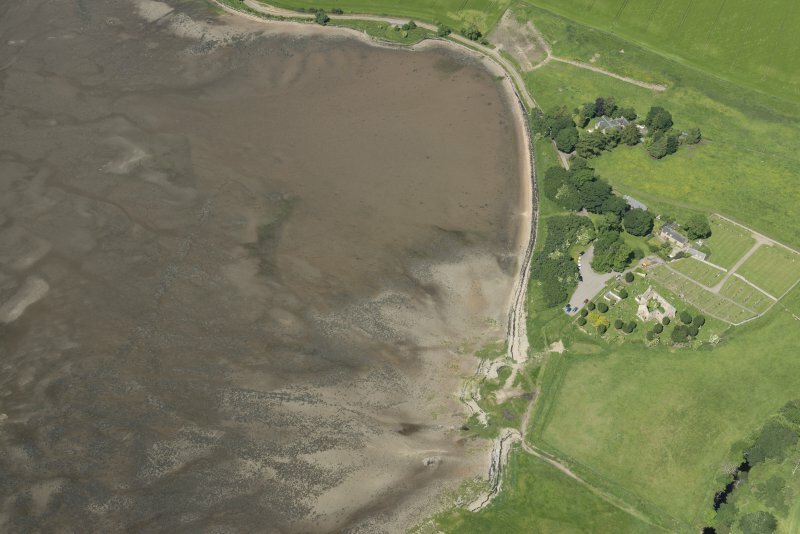 Oblique aerial view centred on the church, burial ground, farmsteading and barn with saltings adjacent, taken from the WNW. 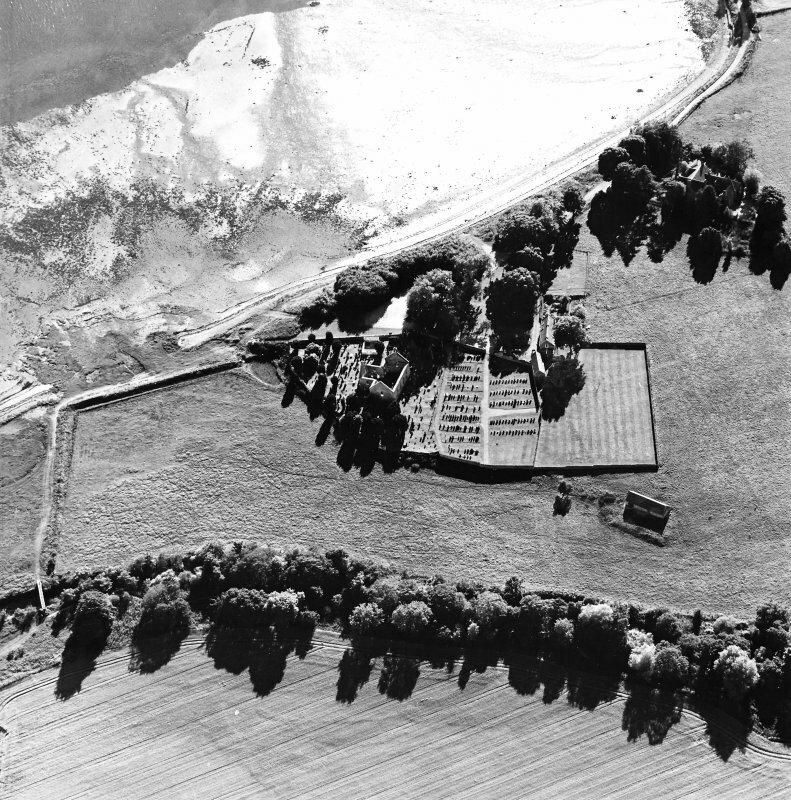 Oblique aerial view of the fish traps, looking NE. 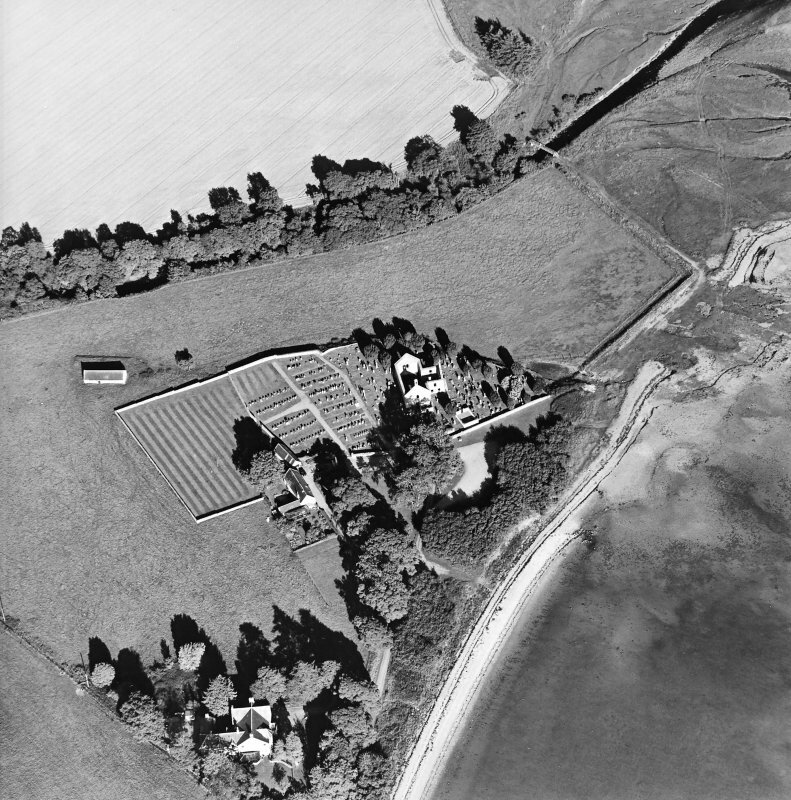 Oblique aerial view centred on the church, burial ground, farmsteading and barn with saltings adjacent, taken from the W.
Oblique aerial view centred on the church, burial ground, farmsteading and barn with fish trap and saltings adjacent, taken from the ENE. 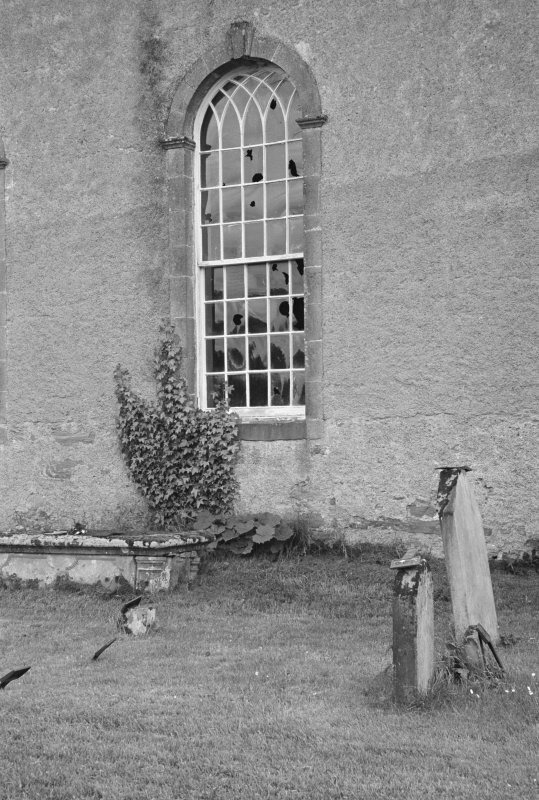 Detail of window, Kiltearn Parish Church, showing drip mould. 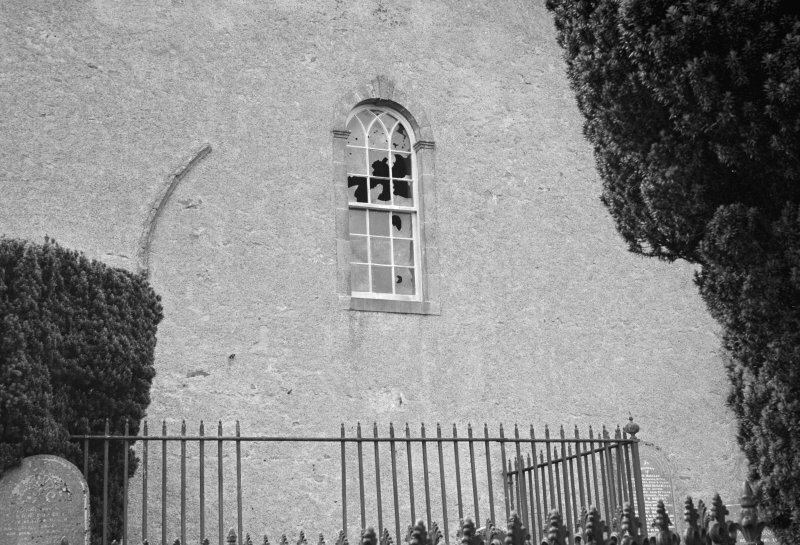 Detail of window, Kiltearn Parish Church. 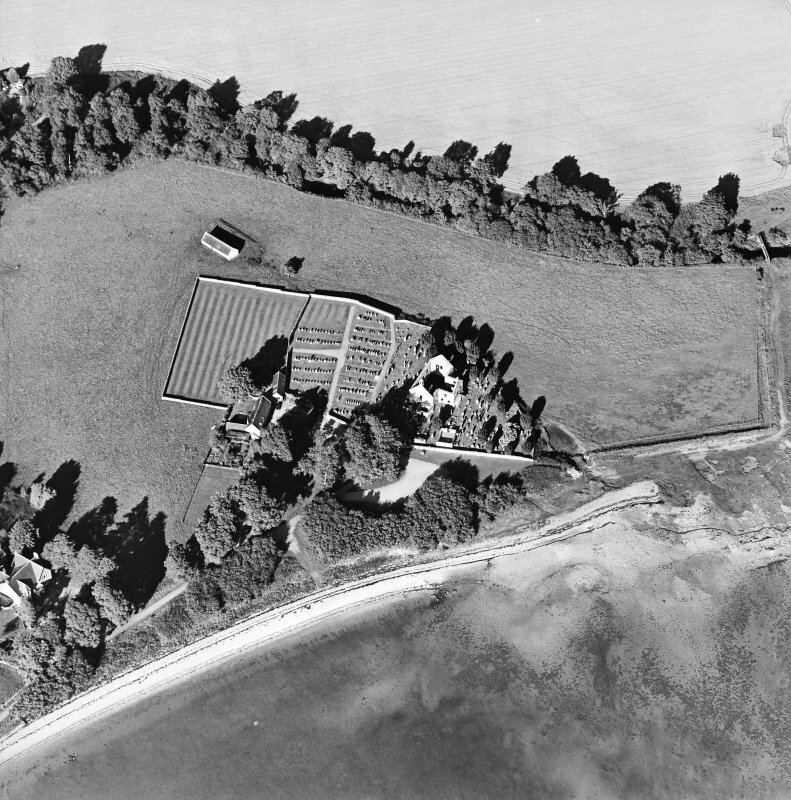 Oblique aerial view centred on the church, burial ground, farmsteading and barn with saltings adjacent, taken from the SW.
View of Kiltearn Parish Church showing stairs and door. 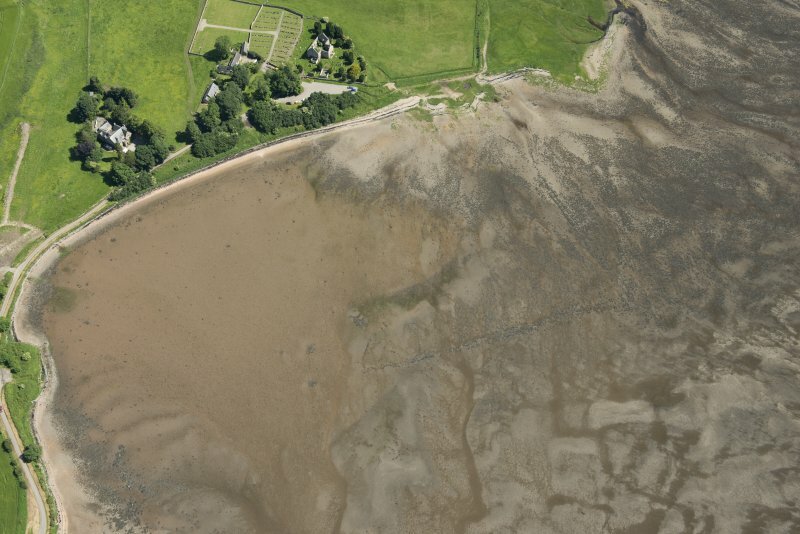 Oblique aerial view of the fish traps, looking WSW. 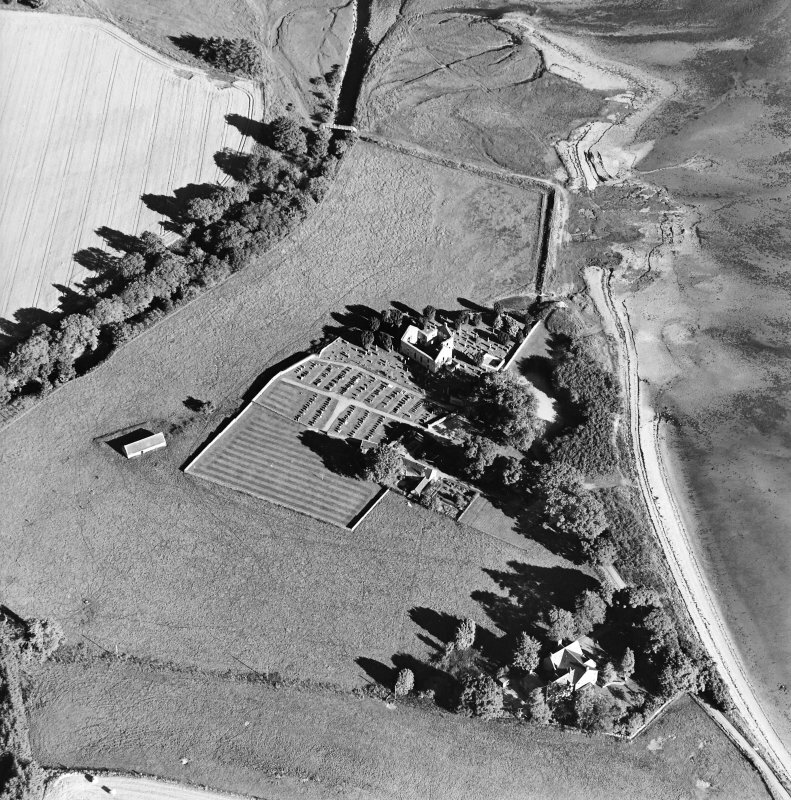 Oblique aerial view centred on the church, burial ground, farmsteading and barn with saltings adjacent, taken from the NE. 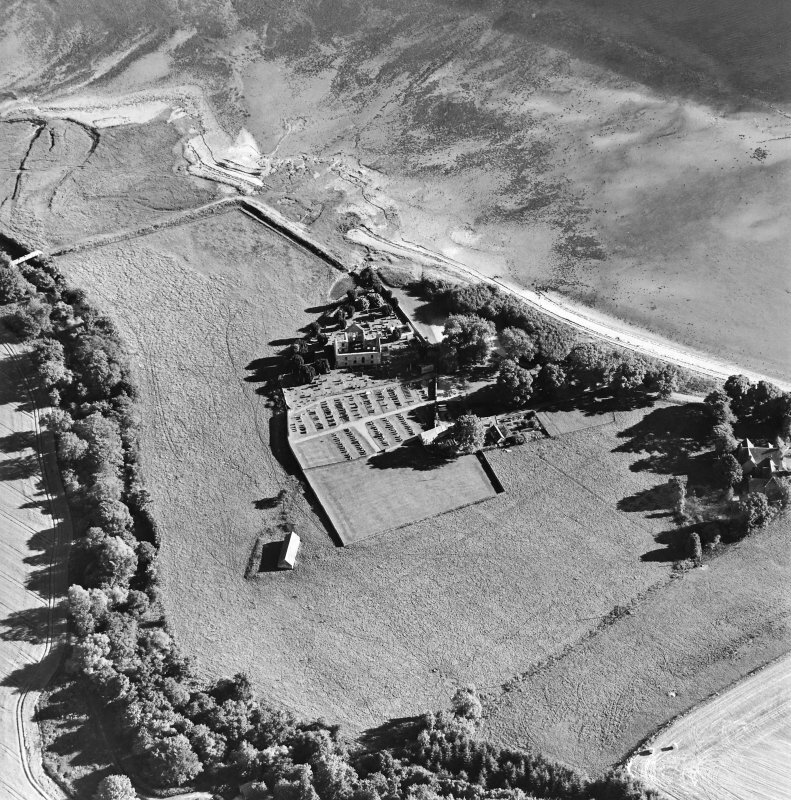 Oblique aerial view of the fish traps, looking W.
Pulpit installed in Lochgoilhead Kirk, Argyll in 1955. The interior of this ruinous Category B Listed church has been stripped. (Undated) information from Demolitions catalogue held in RCAHMS library. 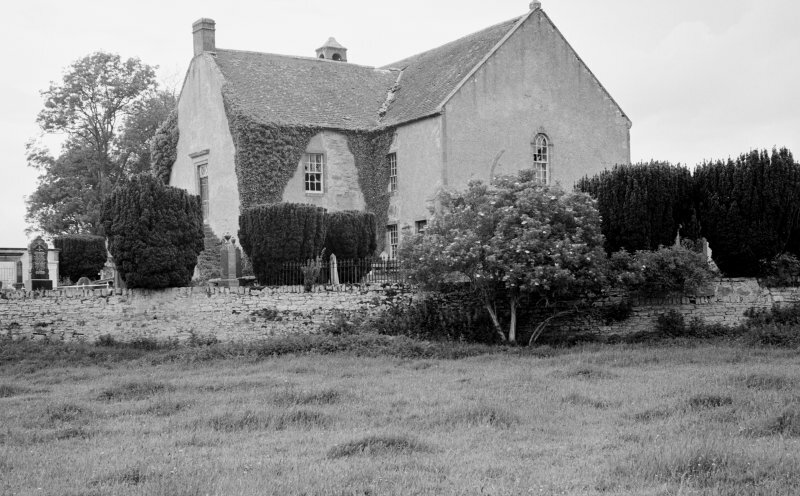 Kiltearn church was built in 1791, but its particularly inconvenient situation suggests that the site is that of an early church (NSA 1845), possibly Culdee (Bain 1899). 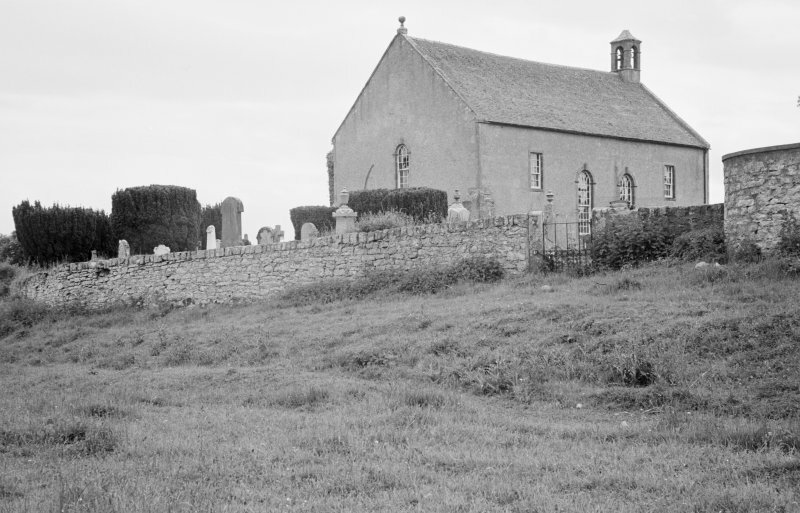 Said to be dedicated to St Tighernac (Macrae 1923). (But see NH66NW 15). New Statistical Account (NSA) 1845; R Bain 1899; N Macrae 1923. 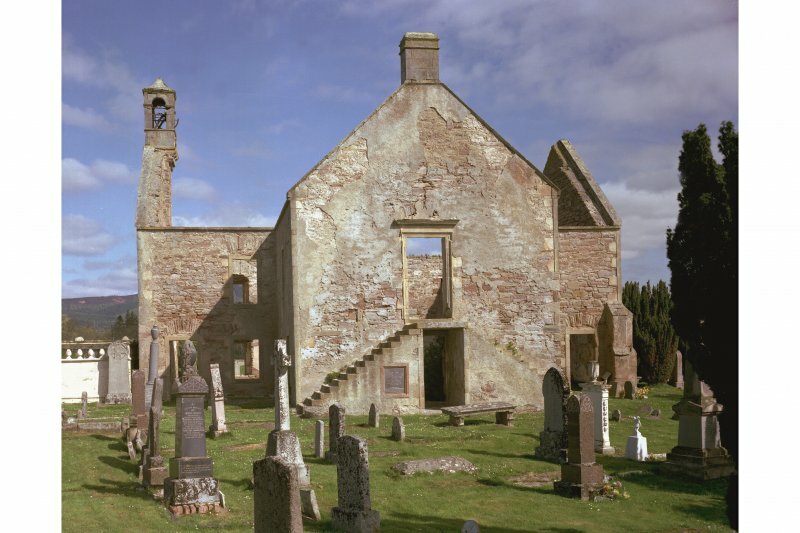 Kiltearn Parish Church has been disused for about twenty years. 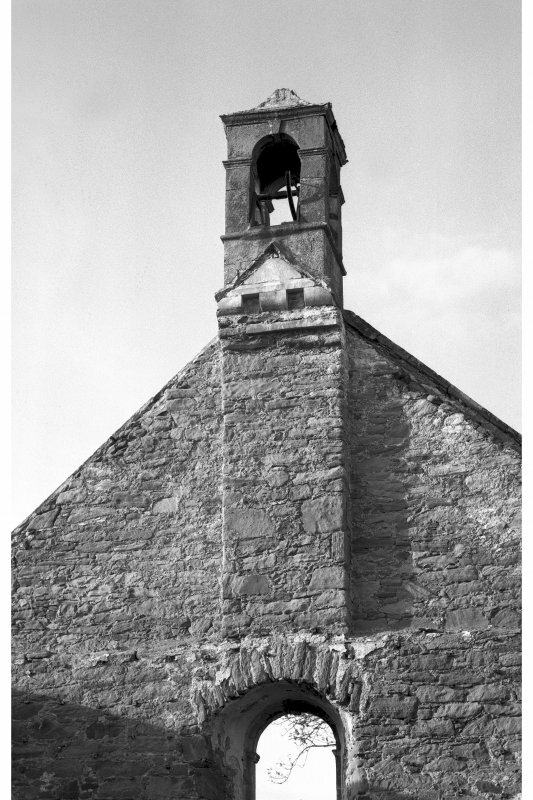 It is still roofed, but the slates are soon to be removed for safety (Information from Mr Macrae, Sexton, Kiltearn parish church). 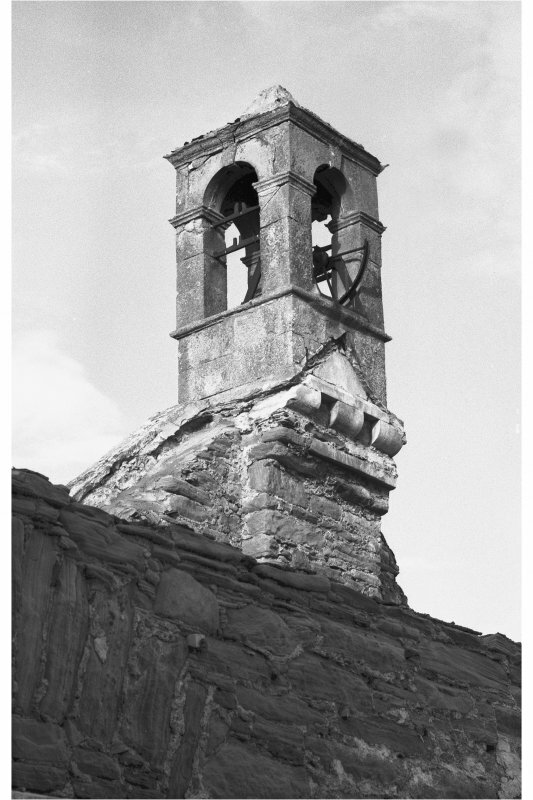 On the outside of the east wall of the church, part of a former arch can be seen, probably belonging to an earlier church. 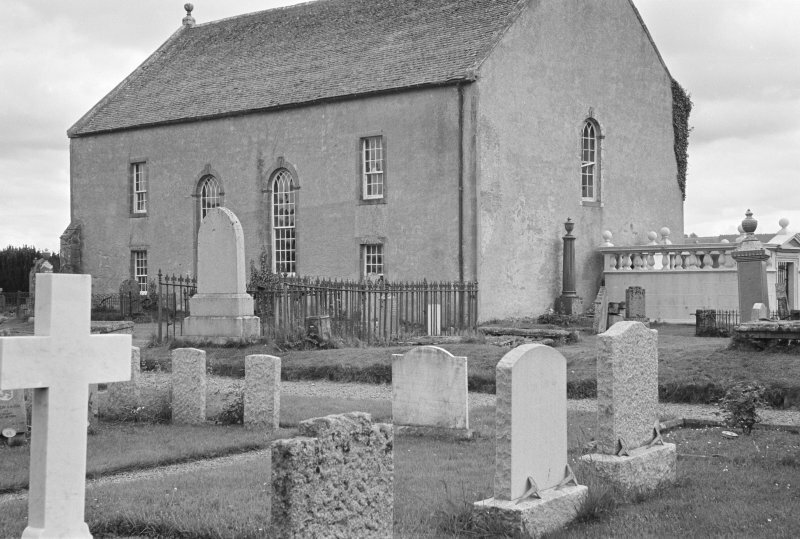 There are several 17th and 18th century gravestones in the graveyard. 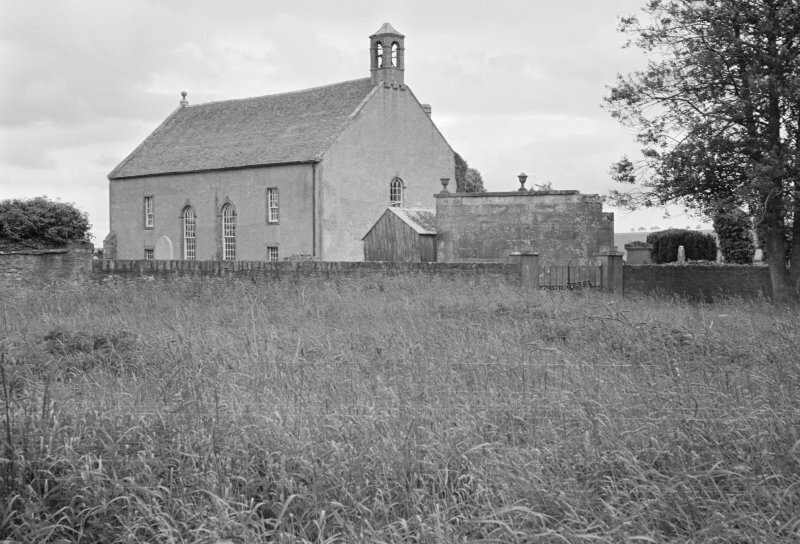 The sexton recalled that the former minister, now in Brechin, had said the church was on the site of a monastery. No confirmation could be obtained for the dedication mentioned by Macrae. 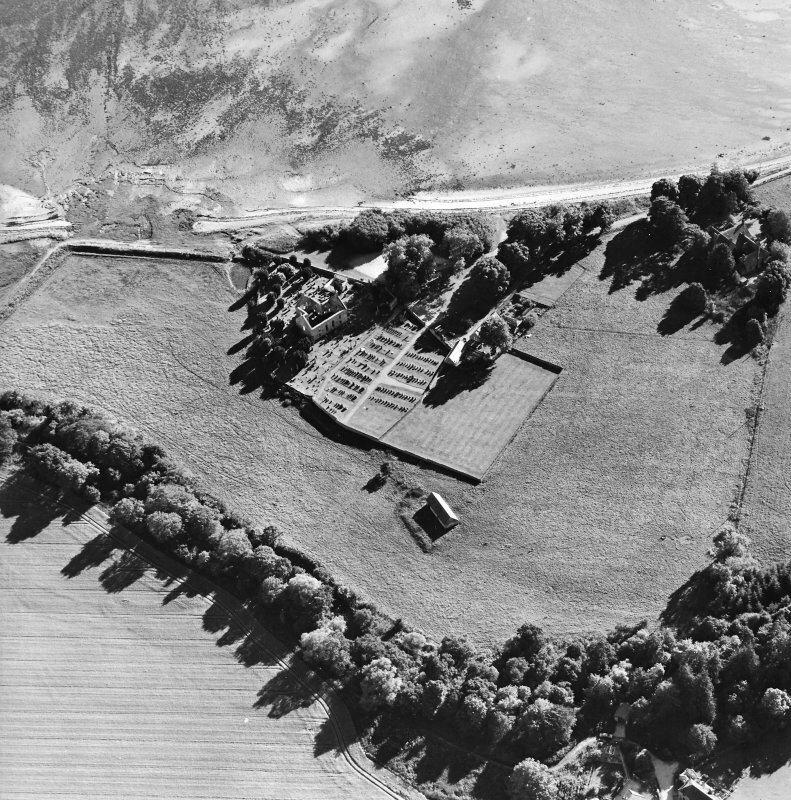 Visited by OS (R D L) 5 May 1963. 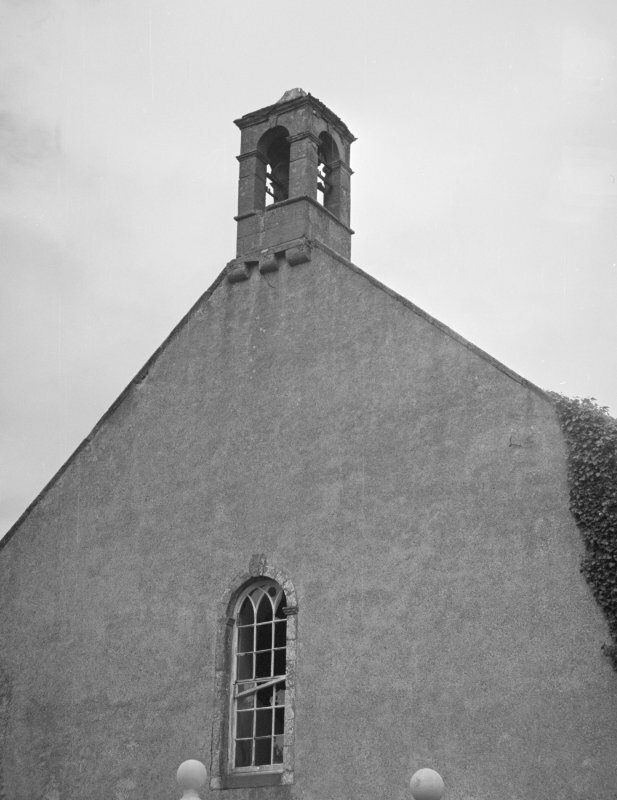 Parish church - No roof. A re-used fragment of a medieval cross slab was identified on the exterior of the S wall of the nave at first floor level and towards the E end of the building. Information from Mr D Alston, 24 April 2004. 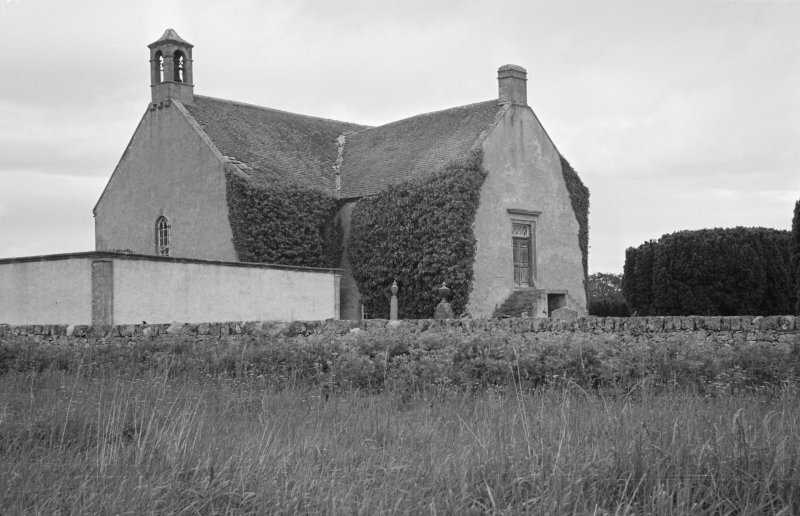 Photographic survey of the exterior of Kiltearn Parish Church, Ross and Cromarty, by the Scottish National Buildings Record in June 1963. 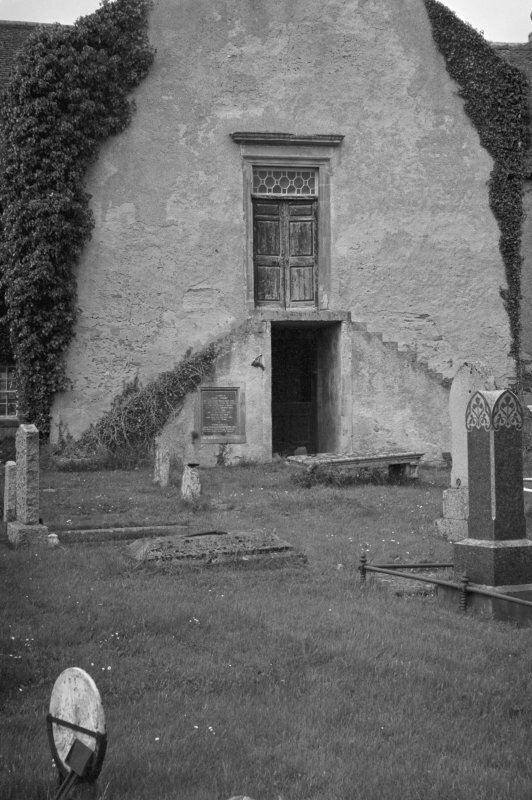 Church is now in poor state, and entrances boarded up. Severe problems with rabbit burrows, with a number of bones exposed. 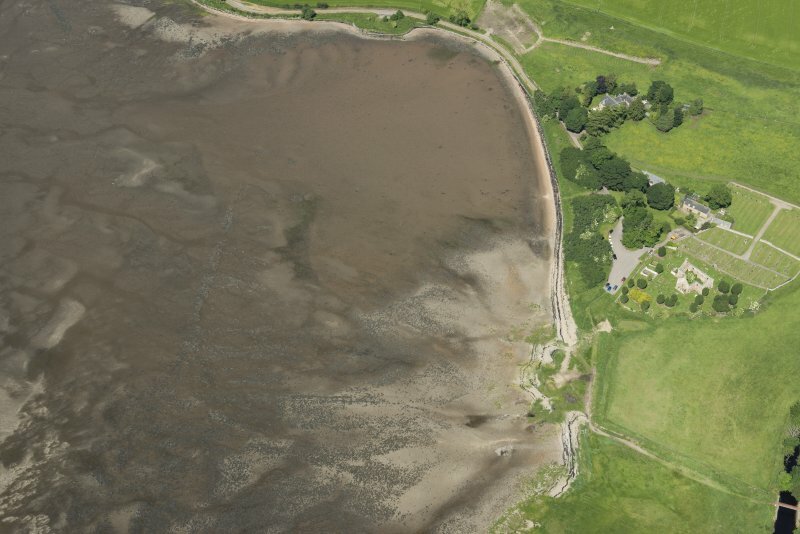 The retaining wall, which forms the coastal defence, is in poor condition in places, and needs more maintenance. 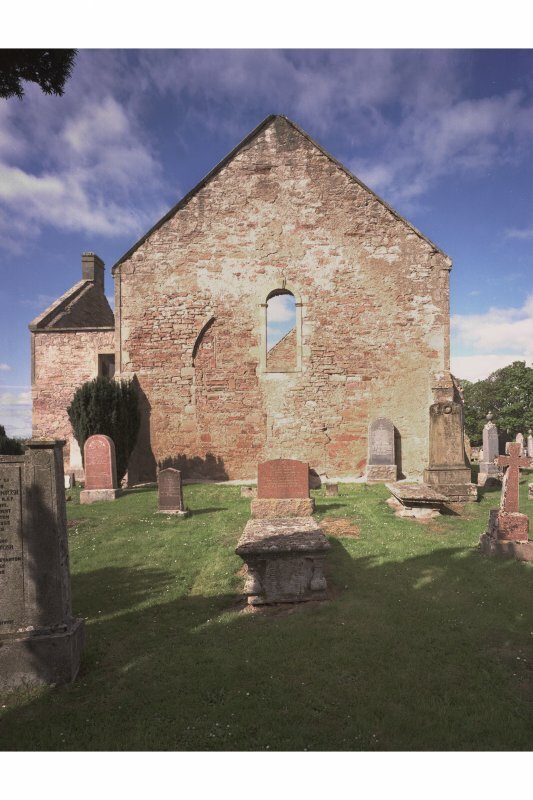 NH 61658 65226 (Canmore ID: 13651) Evanton Community Trust ran a community project, 20 January – 31 October 2017, to investigate the roofless old parish church by the shore. 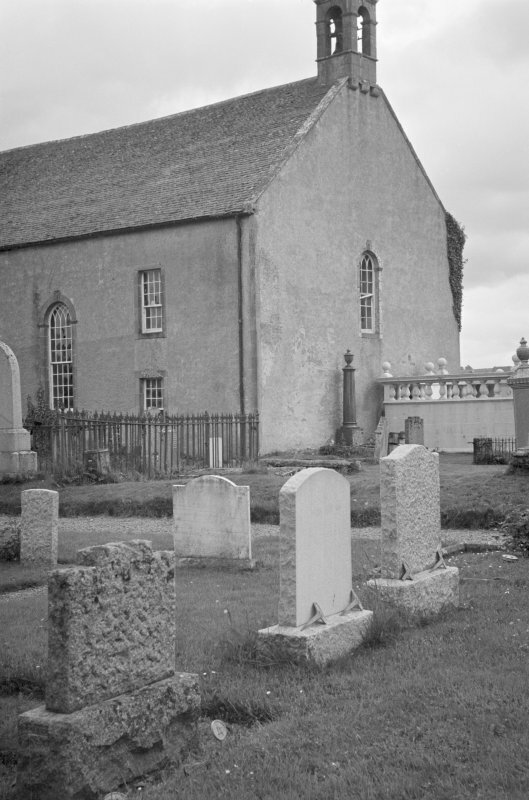 ARCH provided community courses on standing building survey (Lynne McKeggie), researching historical documents, gravestone recording in the old kirkyard, and interpretation of material for a display and signboard (Susan Kruse). 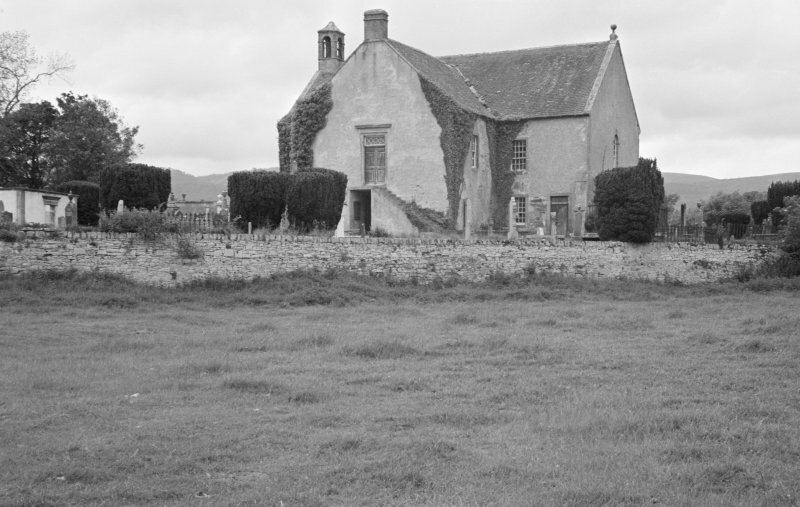 Anne Fraser of Highland Archive Centre provided training in family history research. Iain Clark of the Evanton Community Trust and project participants undertook schools outreach. 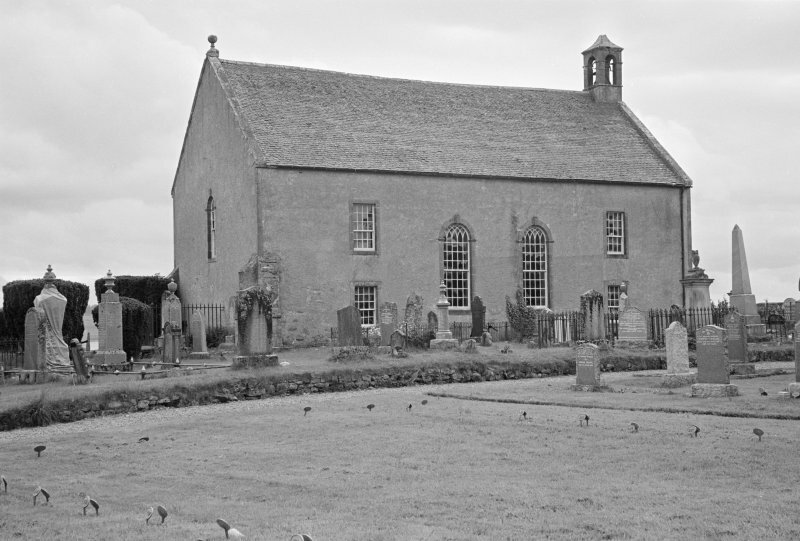 The standing building survey produced full photographic records, plus a plan and elevation drawings of the E side of the kirk, which preserves traces of a medieval window and pre-1790 window, as well as at least one pre-Reformation buttress. 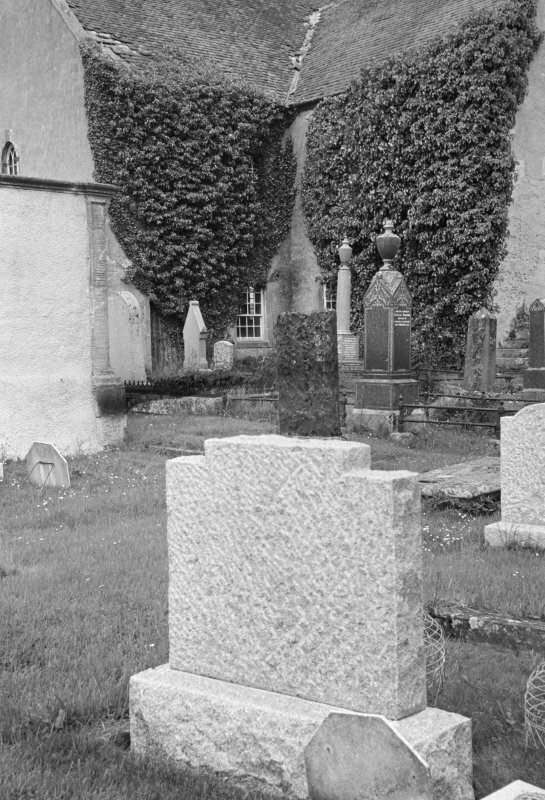 The gravestone survey recorded >400 gravestones and lair markers, with >900 names and intials. 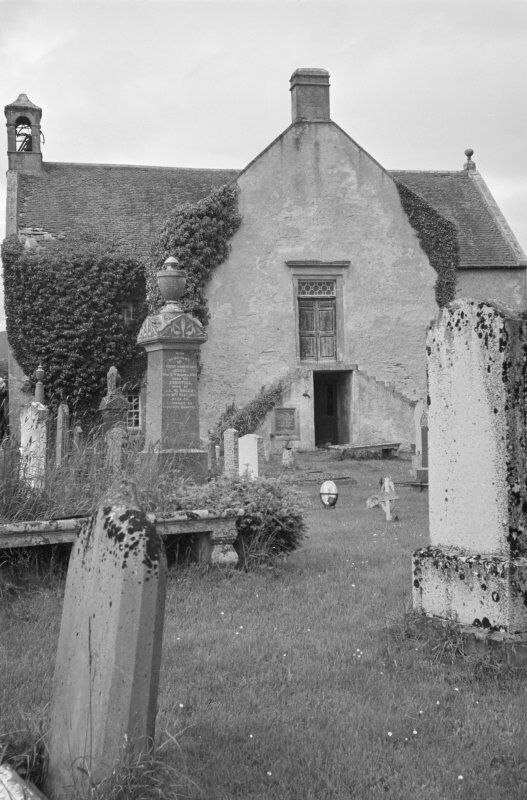 The gravestone information is available in full at the Cornerstone Cafe in Evanton and at the Highland Archives. A spreadsheet with names is available from the ARCH website, and a database will be put up on the ECT website. 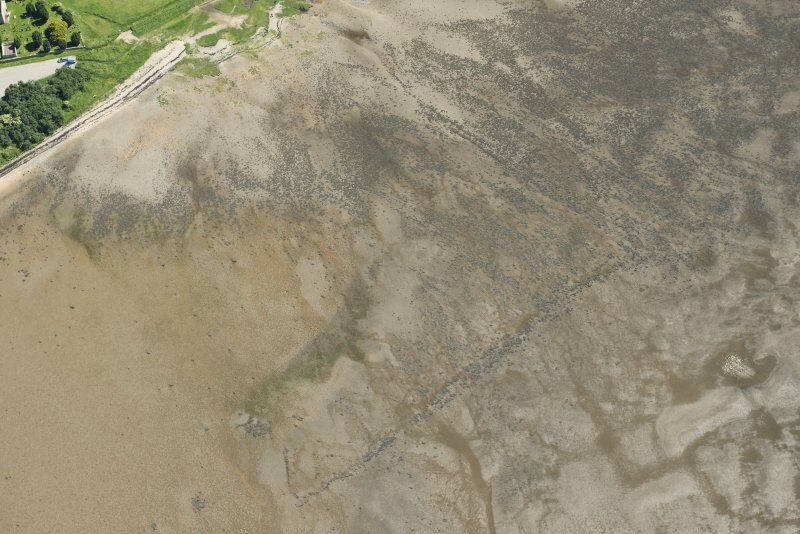 The full photographic record and the elevations have been submitted to the HER. Binders of information have been given to Dingwall and Alness Libraries, Cornerstone Cafe in Evanton and the school.